Hear from prolific anime art director and background artist Hiromasa Ogura (Patlabor: the Movie, 1989; Ghost In The Shell, 1995) in conversation with anime researcher and filmmaker Philip Brophy. This talk event is part of the event program for Anime Architecture, a free exhibition on display at The Japan Foundation Gallery from 1 June – 11 August 2018. 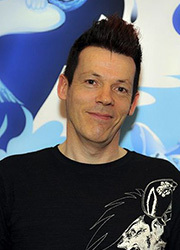 Working in the Japanese anime industry for over 40 years, Ogura’s signature painterly backgrounds are seen in early works The Castle of Cagliostro (1979) and Patlabor: The Movie (1989), through to Ghost in the Shell (1995), Spirited Away (2001), and Ghost in the Shell: Innocence (2004). 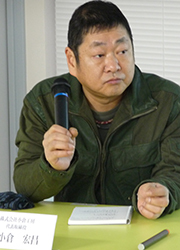 During his time with leading anime studios Kobayashi Production and Production I.G., the industry transformed from hand-drawn animation to incorporate blended digital processes. Describing his roles as art director and background artist, Ogura’s experiences trace the collaborative processes working with film directors, location scout photographers and layout artists. These different stages inform his delivery of the final hand painted gouache backgrounds on paper and the layered mid and foreground elements on transparent cels. In discussion with Brophy, hear Ogura’s experiences inside the Japanese anime industry, and the processes of crafting the detailed and immersive worlds of Japan’s iconic anime. This talk will be livestreamed on The Japan Foundation, Sydney Facebook page. Since the 1970’s, Philip Brophy has produced creative content in diverse contexts as an artist, curator, author, film director, curator and musician. With a specific research interest in Japanese anime stemming from his background in film programming, Brophy developed the Osamu Tezuka retrospective for ACMI in 2006, as well as the exhibition Tezuka: The Marvel of Manga, which toured art museums in Australia and internationally. He has written extensively on anime (100 Anime) and is currently writing Unnatural Disaster – Imaging Destruction from Hiroshima to Fukushima & Beyond, a book on Japanese manga, animation, music and popular culture. Free, limited capacity. Walk-ins are welcome. Bookings are available and recommended for those who are certain of attending. Unclaimed seats will be released to walk-in audience after 6:15pm.